Community Cash Fund – Now closed! Have you met us on one of our Listening Tours? Find out how people voted in our poll and what we learnt whilst we were out and about across Surrey! Last Summer we embarked on our third Listening Tour of the county, visiting GP Surgeries, Hospitals, Supermarkets and High Streets across all 11 boroughs and districts. We discovered that Mental Health is the most wanted service to be improved in Surrey. We interacted with people 998 people. We have 306 people feedback forms to share their stories with us. 600 people voted in our poll. 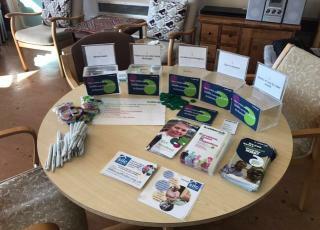 This year we are working towards a rolling listening event programme to get consistent feedback from each part of Surrey, as well as making sure we visit an even number of different types of services so that we can measure how happy people are with local services in different districts, boroughs and Clinical Commissioning Group areas. We are committed to making sure that as many people in Surrey as possible get to share their experiences with us in a way that they are comfortable with, and we know that sometimes the listening tour does not suit everyone’s needs, so we visit local community groups too. We would love for local community groups and voluntary organisations to contact us at to arrange a listening outreach event.